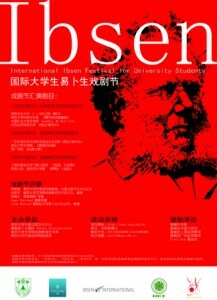 Students from China were invited to submit their works by the end of July 2010, which could be either adapted from Ibsen’s play or inspired by Ibsen. We hope to encourage young university students to reinterpret and stage Ibsen in the local context. It will provide a platform for them to perform Ibsen in innovative and creative ways as well as an opportunity for exchange and discussions. Some universities have now started their own Ibsen Performances Contest and selected the best one to attend the Festival in Nanjing. The China International Ibsen Festival for Students received more than 20 submissions from around China. Nine submissions were chosen and invited to Nanjing to participate in the final contest. The submissions came from universities in Beijing, Shanghai, Guangzhou, Nanjing and other Chinese cities. 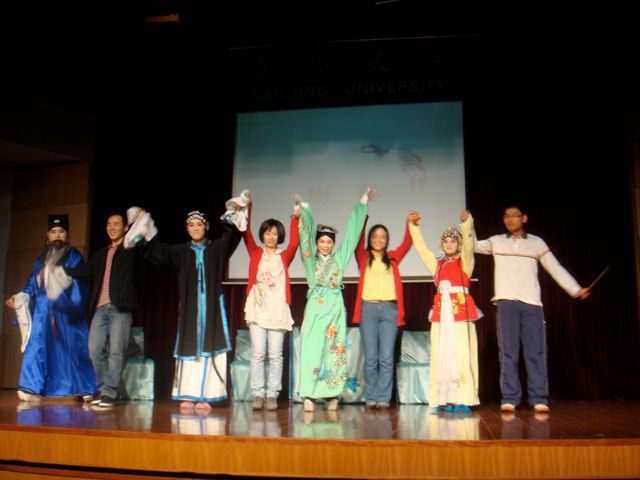 Students from several universities in China participated in the project with performances on stage at Nanjing University. They participated in a competition and were assessed by a jury. In addition, Shanti Brahmachari led interviews with approximately 80 students who participated in the performances which took part in the final festival. The report is divided into three parts. The first part will present the seven competing performances; part two provides information on the work of the jury; and part three will present some impressions from the dialogue meetings with the students. 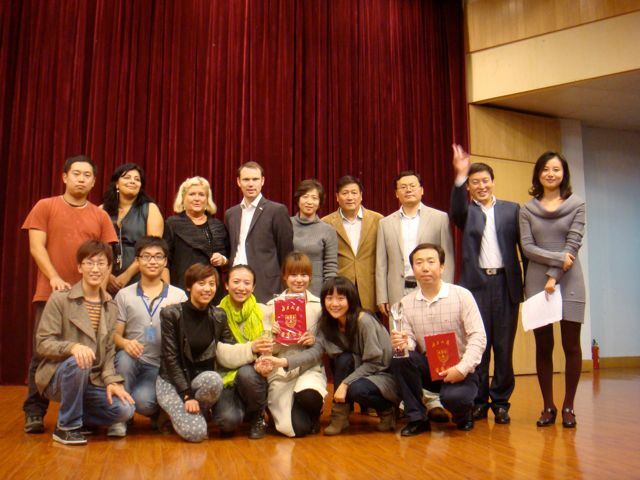 The first International Ibsen Festival for students took place in Nanjing between 22nd-24th October 2010. It was produced by Nanjing University and The Chinese Nordic Cultural Centre (CNCC) in collaboration with Ibsen International. There were 20 groups who were interested in participating in the festival and sent their contributions to the festival committee. Of these, nine groups, from all over China were chosen by a jury to participate in the final festival in Nanjing. The submitted works came from Universities from all over the country, including Beijing, Shanghai, Guangzhou, and Nanjing. The play is adapted from Henrik Ibsen’s A Doll’s House and Thomas Hardy’s Tess of D’Urbervilles. It presents two women of different times and displays their exploration of love and their awakening of self-awareness. Nora’s “dolllike love” and Tess’s “blind love” compose the play’s main plot. Love’s sweetness and blindness in different time and space demonstrate the similar life track of the two heroines. The play intends to display the adapter’s interpretation of love, that is, love as a shoulder-to -shoulder journey of two independent souls, always separate but forever interdependent. The play is performed in English. The play is adapted from Rolf Fjelde’s English version of Ibsen’s Hedda Gabler with a focus on the love affairs among Hedda, Eilert Løvborg and fru Elvstad. The adaptation uses the narrative method of modern play with the performance commencing and ending in great tension. The play is adapted from the third act of Ibsen’s Hedda Gabler, exposing Hedda’s attitudes towards the male protagonists and their conflicts. The adaptation also adds some new episodes by using montage. It shows Hedda’s multiple images. A Doll in House by School of Liberal Arts, Northwestern University The play adopts the theme and concept of Ibsen’s A Doll’s House. 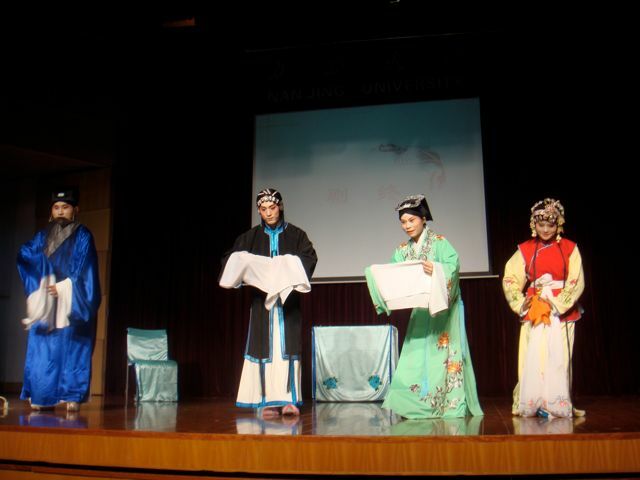 Set in Chinese context, the performance exposes the family conflict between husband and wife, parents and children. It is an alternative imaginative and postmodern interpretation of the original theme with a combination of realist illustration and expressionist illusion. It also combines tragic and comic elements. It strives to achieve alienation by using montage. This performance is based on A Doll House. It uses interviews with “Helmer” and presents his past and present life respectively before and after Nora leaves. It also displays three types of modern “Noras”. More like a farce, the play intends to entertain the audience and meanwhile satirize the over-entertainised society. Game show host format based on local popular ring in chat show. The play is adapted from Ibsen’s Wild Duck. It is performed as a traditional Chinese opera, with live musicians. The task of the jury was to select one best performace, and in addition three excellent performances, best female and male actor, and best director. The criteria for selection was originality and innovation and how the text was linked to contemporary social issues, artistic quality (direction, acting, writing, form) and the ability to communicate with the audience. Many performances were of very high artistic quality with interesting and innovative interpretations of Ibsen’s plays. Some performances used Ibsen’s original texts, others created new plays inspired by Ibsen, some performances were combinations of one Ibsen’s dramas interlinked or integrated with texts by other authors, poets and contemporary playwrights. Many groups presented refreshing new interpretations of Ibsen often combining artistic forms and traditions like European and Chinese classical theatre, performance text and improvisation, dance and Peking Opera forms. In particular, two of the performances presented interesting and innovative productions, of a high artistic quality, which communicated particularly well with a young audience. Both performances were based on “A Doll House”. Northwestern University presented a new contemporary text, based on the ideas in Ibsen’s original play, while Shanghai International Studies University presented a modern television Chat show performance called ”Wow! Chi, cha, Go!” Where, Ibsen’s characters are propelled into the 21st century. Northwestern University won the competition, with high acting standards, comic language in a contemporary interpretation with a focus on gender/ family issues and generational issues in China today. This production will visit Norway in May 2011 and perform in Bergen at The Bergen International Festival and Oslo. 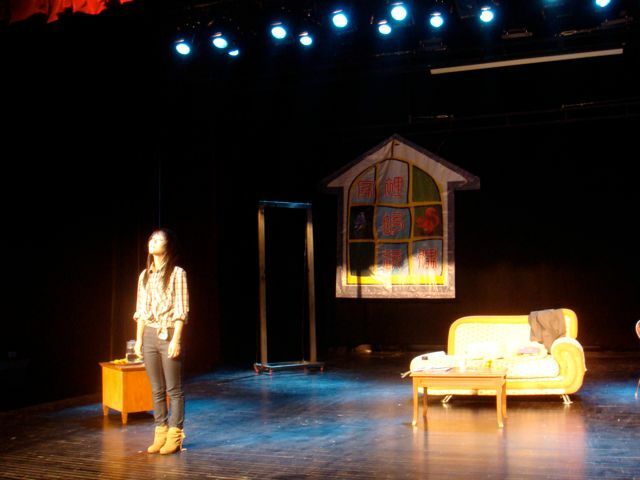 During the Festival in Nanjing there were set up several dialogue meetings with the performing students to discuss their choice of play, understanding of Ibsen and the artistic processes. Five dialogue meetings between the project manager and student groups of 15-20 people were organised. 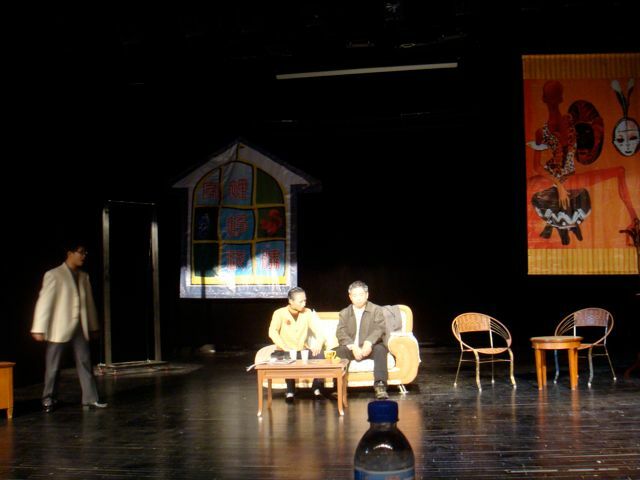 The meetings used the plays as a vehicle to discuss which contemporary social and familiar issues are relevant for young people in China today. The Doll House and Hedda Gabler became the basis for discussions on topics like gender issues, the relationship between the young and older generation, women’s opportunity to combine family with education and work, relationships between men and women, marriage, etc. An Enemy of the People turned into discussion on social control at a micro level as well as wider society, and opportunity for young people to express ideas and views which are not in line with excepted views in family, local community, or wider society. Students may meet real challenges in life and be forced to consider giving up their ideals. The dialogue meetings illustrated clearly the relevance of Ibsen’s plays in contemporary China. It is particularly interesting that the students who participated came from a number of different disciplinary areas; they were engineers, economists, who studied mining, agriculture as well as languages and arts. They also came from many different parts of China. All groups actively engaged in the discussion on the relevance of Ibsen for contemporary China today and used the plays to communicate and express their understanding of personal and social challenges and how it is to be a young person in China today. Our experience from the Ibsen Festival 2010 is that Ibsen’s plays became a platform for communication and discussion on social life we all share as human beings: relationships, particularly family and male –female relationships, equality in marriage, family structure, education, status, social control and pressure, etc. In this way, Ibsens works have created a vehicle for communication across cultures on issues in young people’s lives in China. 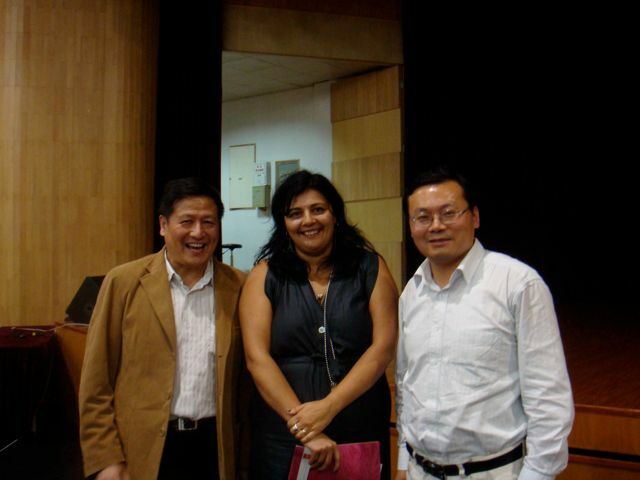 We want to develop this aspect of the programme in 2011 by actively engaging young people from Norway and China to meet and use their interpretation of Ibsen’s plays to communicate on the above mentioned issues and themes.